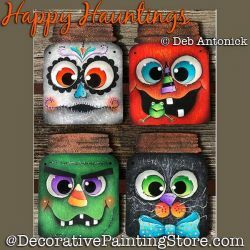 Halloween faces on mason jar cutouts. 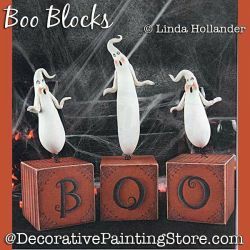 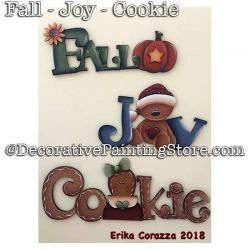 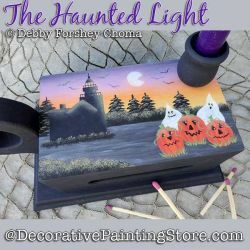 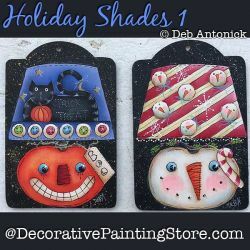 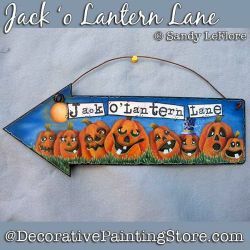 Pumpkin and snowman lamp plaques. 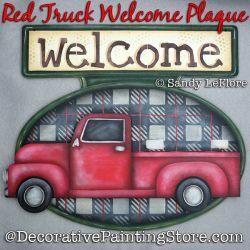 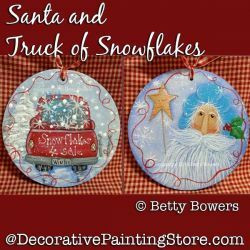 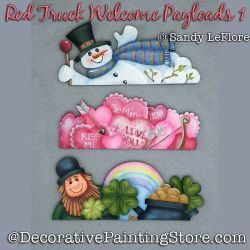 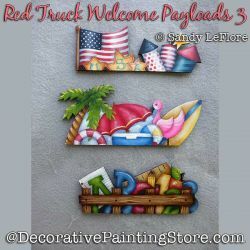 Santa and Red Pickup Truck filled with Snowflakes ornaments. 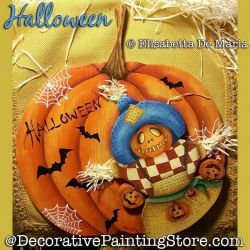 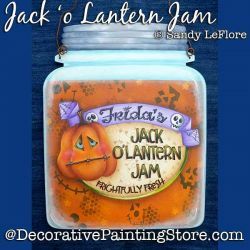 Jack-o-lantern pumpkins and full moon Halloween plaque. 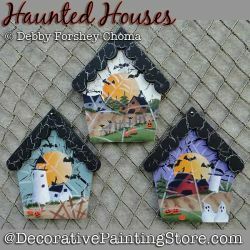 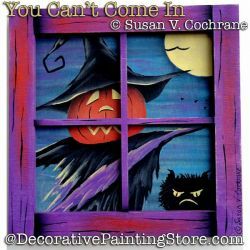 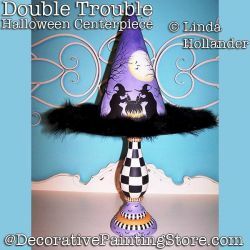 Jack-o-Lantern Witch and Black Cat peeking in window frame ornament. 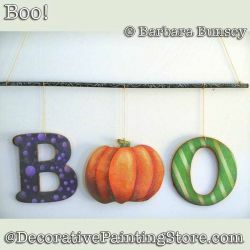 Little boy in sheet on Happy Haunting Halloween Sign. 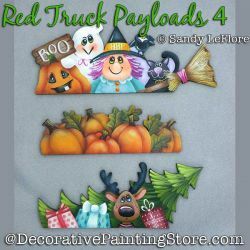 Pickup truck loaded with pumpkins, dog, apples, and sunflowers. 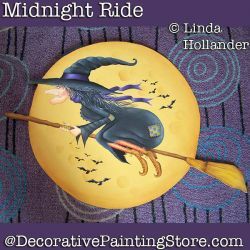 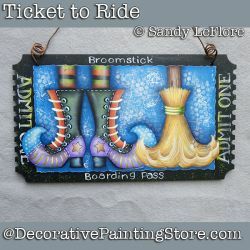 Silhouette of witch on broom and bats in front of a full moon. 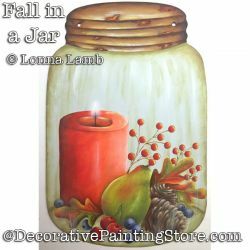 Candle, fall foliage, and berries. 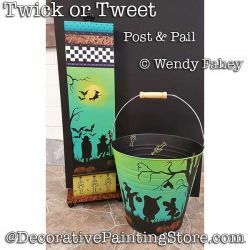 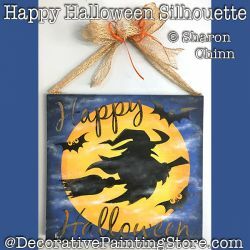 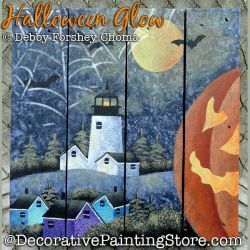 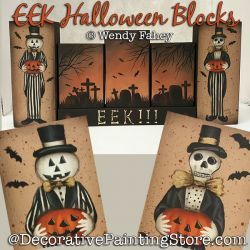 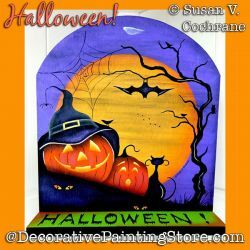 Silhouette of Halloween trick or treaters, dead tree, and bats against a moonlit background with stenciled borders. 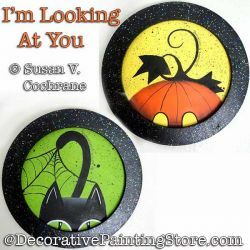 Black cat, bats, and pumpkins. 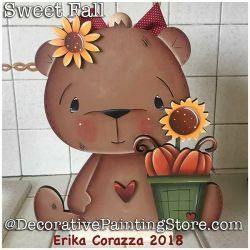 Teddy bear with sunflowers and pumpkins. 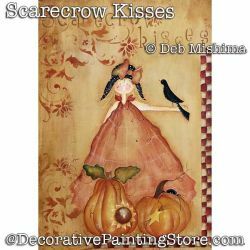 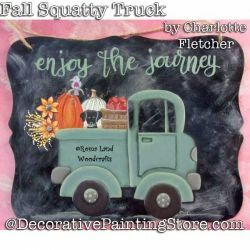 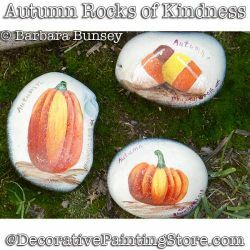 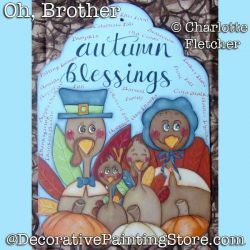 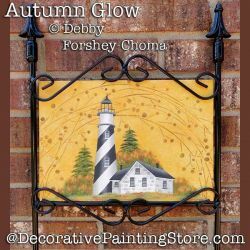 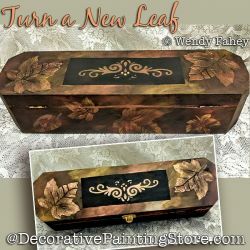 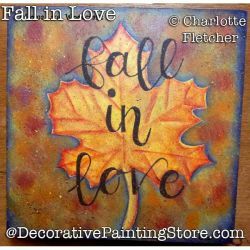 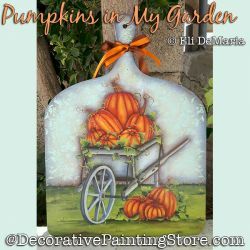 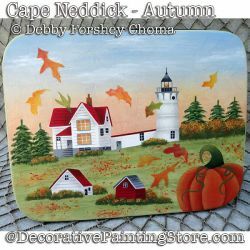 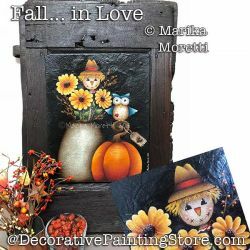 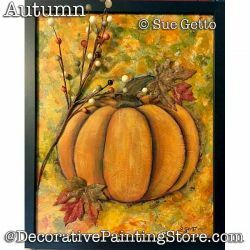 Autumn leaf on 6x6 wood canvas with words "Fall in Love"
Scarecrow girl, pumpkins, and crow. 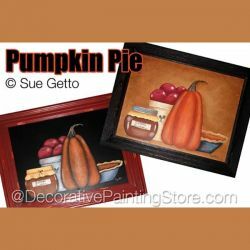 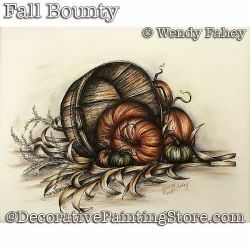 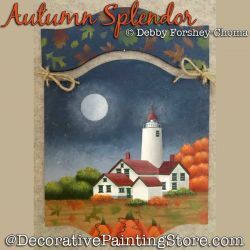 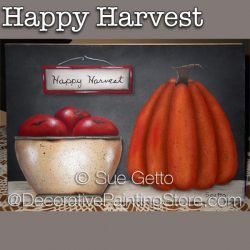 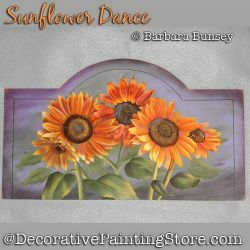 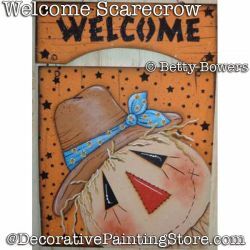 Scarecrow, owl, sunflowers, crock, and pumpkin on canvas. 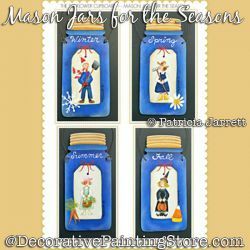 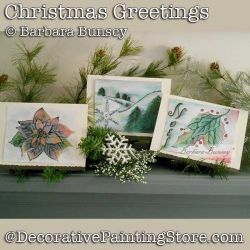 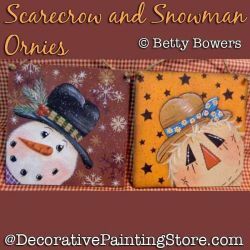 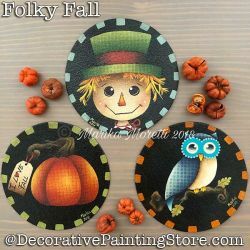 Scarecrow, owl, and pumpkin on ornaments or coasters.